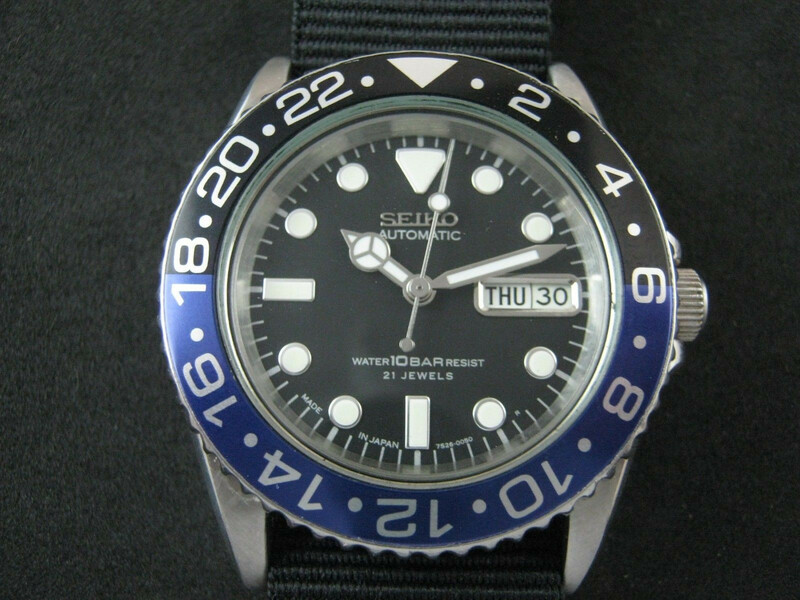 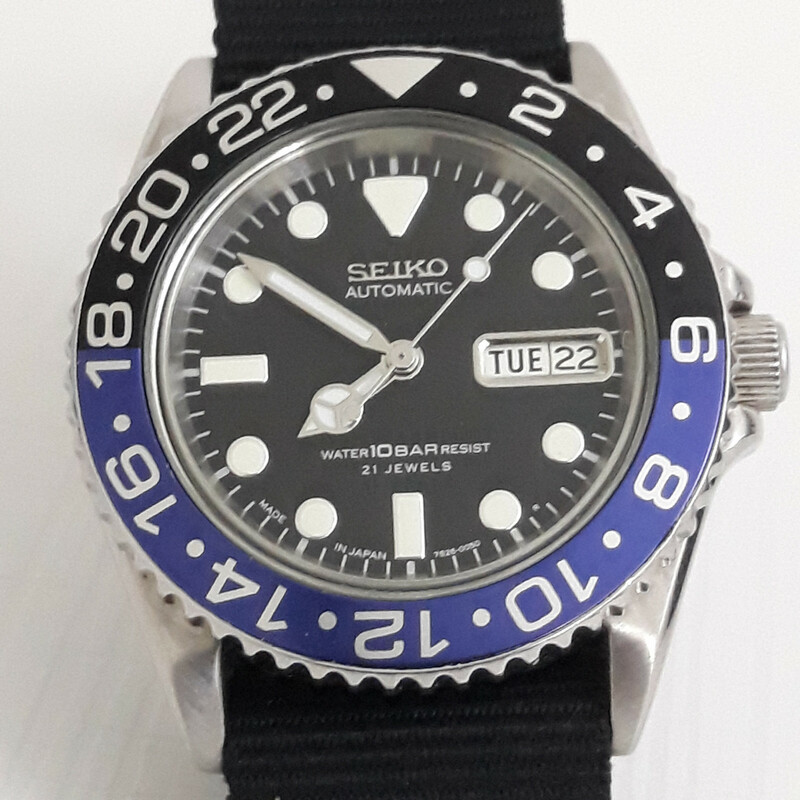 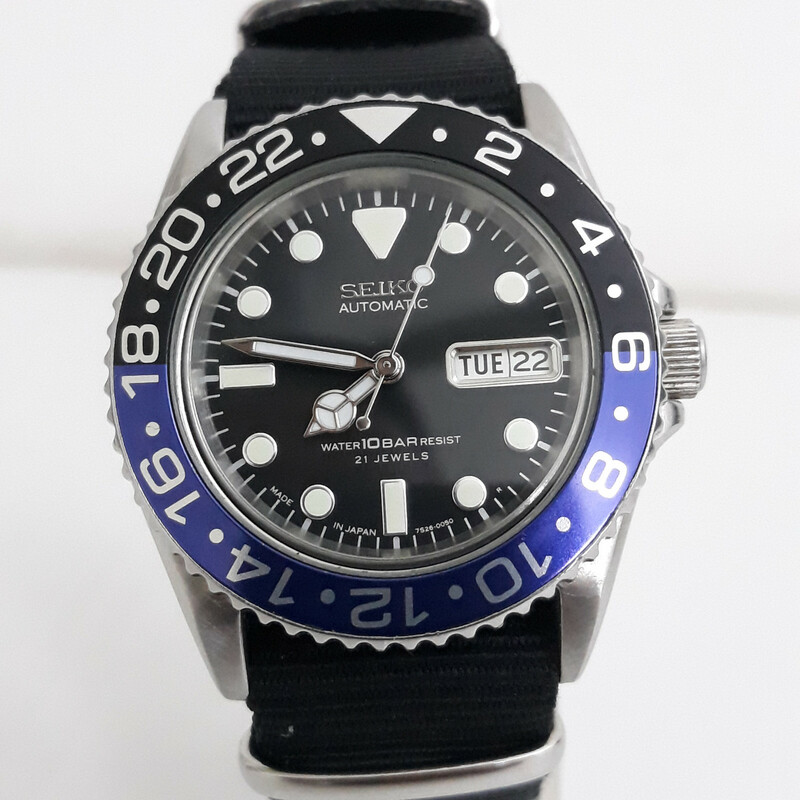 This watch is original Seiko watch, modified 'Batman' bezel, Hands and Insert Bezel specially made for this watch. 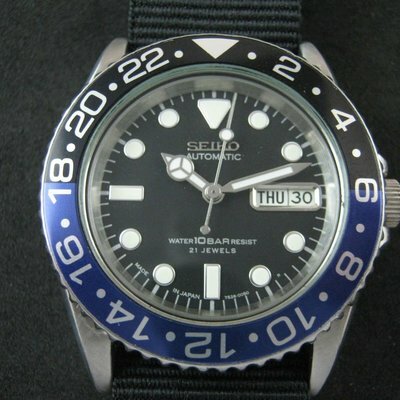 Hand and Index strong glow at dark, Ready to wear. 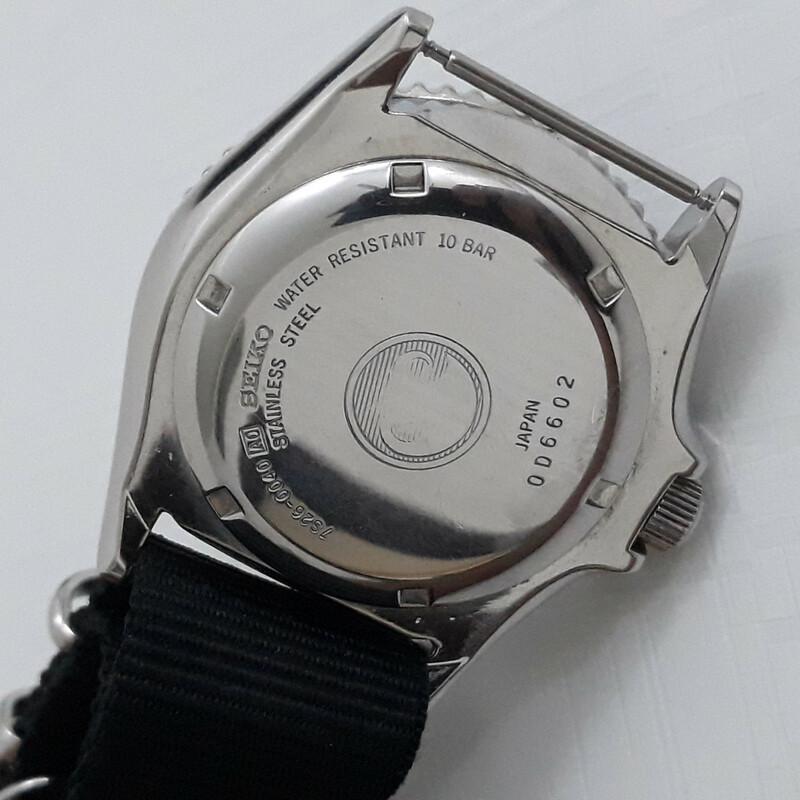 Diameter: Width 40mm excluding crown. 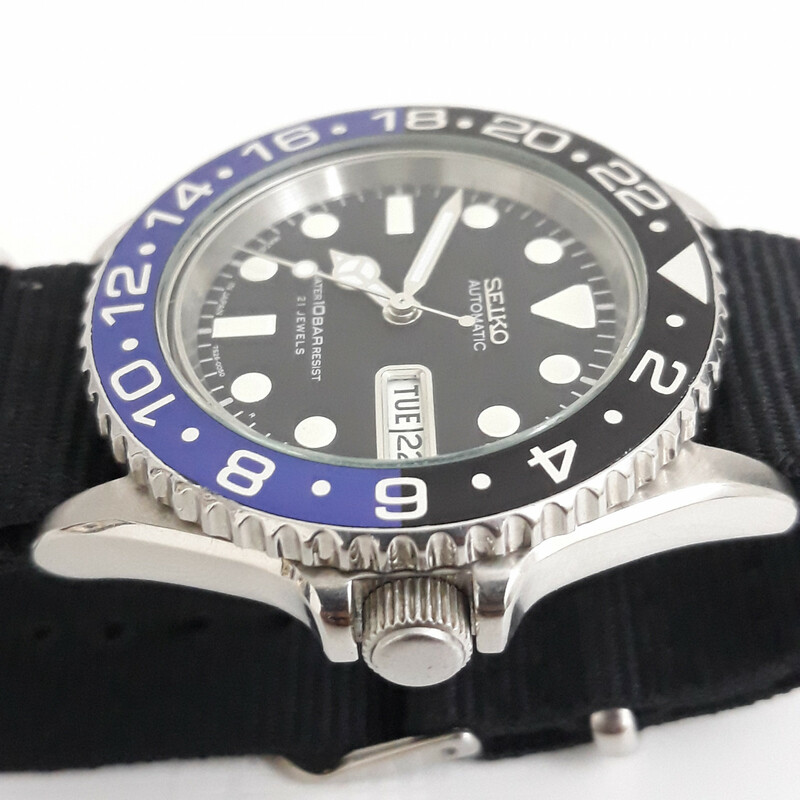 Length 45 mm from Lugs to Lugs. 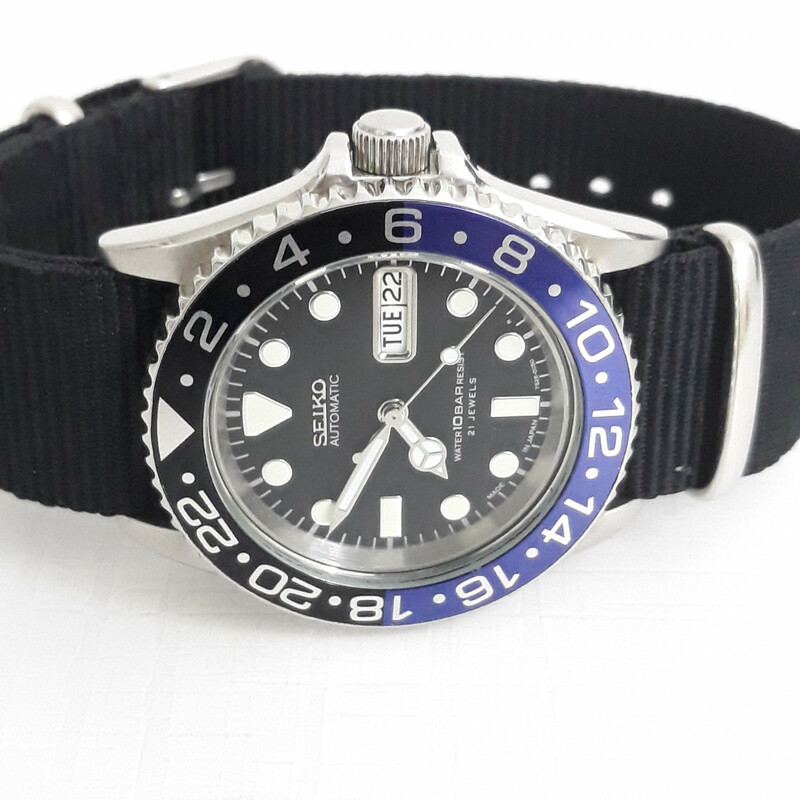 Band: New unbranded Nato strap fitted.